Our comfortable and practical meeting rooms are equipped with advanced technology that includes WiFi access throughout the property, full audio-visual capabilities and much more. 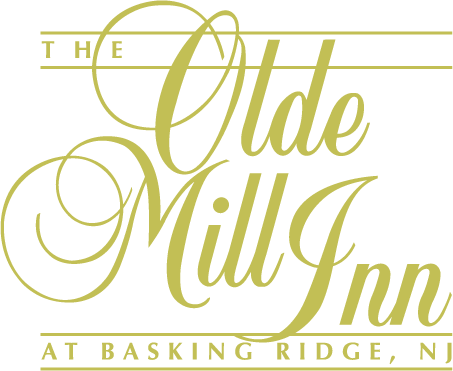 The Olde Mill Inn amenities include on-site event planners, free onsite parking and excellent food at The Grain House Restaurant. 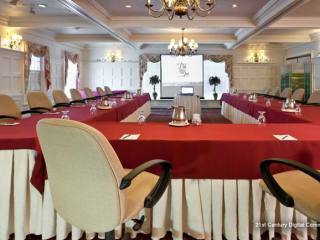 When seeking efficient New Jersey meeting space with full audio-visual capabilities, rooms that feature adjacent outdoor space, along with an expert staff and exquisite location, consider the Olde Mill Inn. 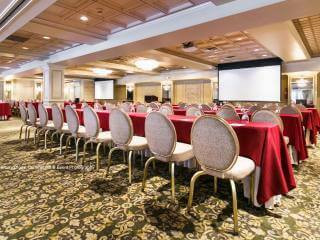 Preview our premier spaces for corporate conferences and events. 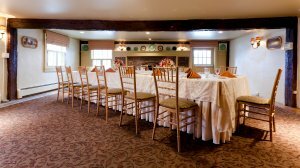 Nestled in the east section of the Grain House, the picture- perfect Fox & Hounds is a comfortable yet elegant room for meetings, dinners and cocktail receptions. The Fox & Hounds has an atrium with French doors opening onto a private deck that overlooks a stream from the Passaic River and the beautifully manicured grounds. 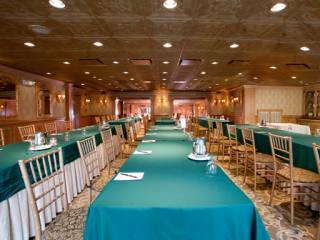 This warm and inviting room is perfect for a variety of Central New Jersey meetings and events. The Hunt Room seats up to 120 people comfortably and opens up to a beautiful seasonally tented patio and garden. The Hunt Room has a private entrance, and offers a natural environment for an outdoor “Eco-Meeting”. The charm of the room is ideal for hosting corporate galas, celebrating milestones or planning a year-end celebration. The ideal ambiance for the most private or intimate of small corporate gatherings or small social affairs, the Grain Room accommodates 60 people for cocktails or 40 for dinner seating. Gather your guests in this quaint and cozy room for your next corporate event. For large corporate events and presentations, team building events and grand holiday parties, the Washington Ballroom is the perfect place to impress your guests. The ballroom is equipped with drop-down screens and LCD projectors. This room also offers the adjoining Lord Stirling Court and a wall of side-by-side French doors that open into an English Garden courtyard.